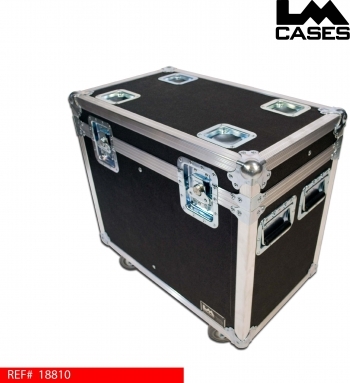 This case is designed to hold 2 QSC K8 loudspeakers. 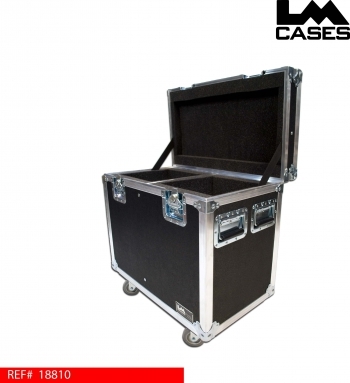 The case is built out of 3/8" plywood and features individual foam lined compartments for each speaker. The exterior of the case features stacking caster wells in the lid and 3.5" casters w/pad.